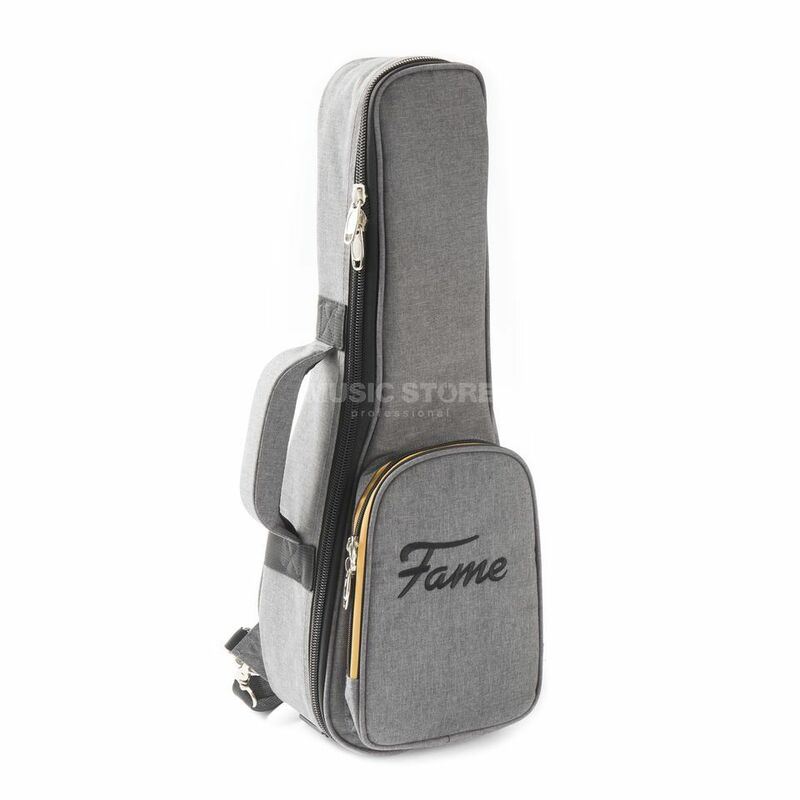 With the Fame Premium Bag the soprano ukulele can be transported safely and stylishly to the next session or gig. The thick and stable padding protects the ukulele from shocks, while the freely placeable neck rest with Velcro fastening guarantees a secure hold of the instrument. In addition, the spacious accessory compartment holds all kinds of small parts such as tuner, strings or batteries. Thanks to the backpack straps and the padded carrying handle, the Fame Premium Bag is easy to carry.